Robert Kirkman’s The Walking Dead comic series may just be the gift that keeps on giving. Aside from AMC’s hit TV drama series inspired heavily by the comics, they’ve provided the basis for Telltale Games’ beautiful video games with the same name. 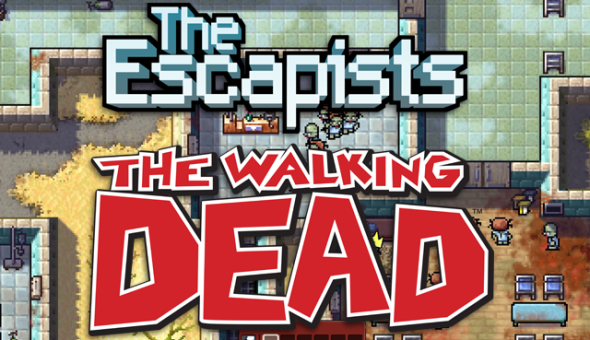 The Escapists: The Walking Dead is an unforeseen title following in the comic’s tracks which mixes the aforementioned TV series with the popular prison-escape indie title The Escapists, as is deducible by the game’s name, providing an interesting title fit for some players, but not for all. 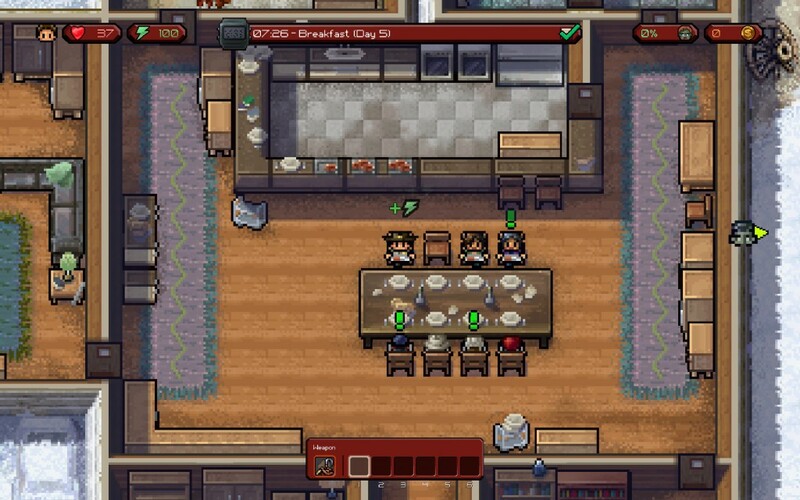 Although The Walking Dead is known for its intriguing story, The Escapists: The Walking Dead lacks much of what makes it so special. The plot still follows the now familiar story of deputy sheriff Rick Grimes who wakes up in a zombie-ridden USA after laying dormant in a gunshot wound induced coma. The Memorial Hospital, in which Grimes wakes up, forms the game’s first area, functioning also as a tutorial level. After escaping, the game skips a very large portion of story, and dismisses it with just a few characteristic comic panels highlighting the most important events. The second level then takes place on Hershell’s farm, a section which only appears much later into the comics. The story only really seems significant when it’s important to the level’s environment. One strange aspect of The Escapists: The Walking Dead is that it spoils the comics for those who have not yet read them. This could be very intrusive to someone who has not yet caught up with the current on-goings of Rick and his crew. Another strange element is the lack of distinct personality in any of the characters, which are normally very fleshed out and full of different opinions on how to handle survival. These spoilers and especially the game’s dismissive nature would bother many a Walking Dead fan expecting a beautiful rendition of the series’ beloved plot, although it probably wouldn’t bother someone solely looking for more Escapists gameplay. Although The Escapists: The Walking Dead’s pixel art may not be comparable to works such as Superbrothers’ Sword & Sworcery EP or even Phil Fish’s FEZ, it gets the message across very effectively, perfectly presenting what an object is, and how it can be used. Furthermore, the game strongly sticks to a solid style throughout, which is a very impressive feat, already realised in the first Escapists. To match The Walking Dead’s grittier universe a considerable amount of new textures have been made, improving on the ones previously present, and although the zombies may not look as life-like as in the TV series, they match the style of The Escapists perfectly. Sadly, the sound design in The Escapists: The Walking Dead isn’t up to scratch, and lacks effort when compared to the score of the original Escapists. 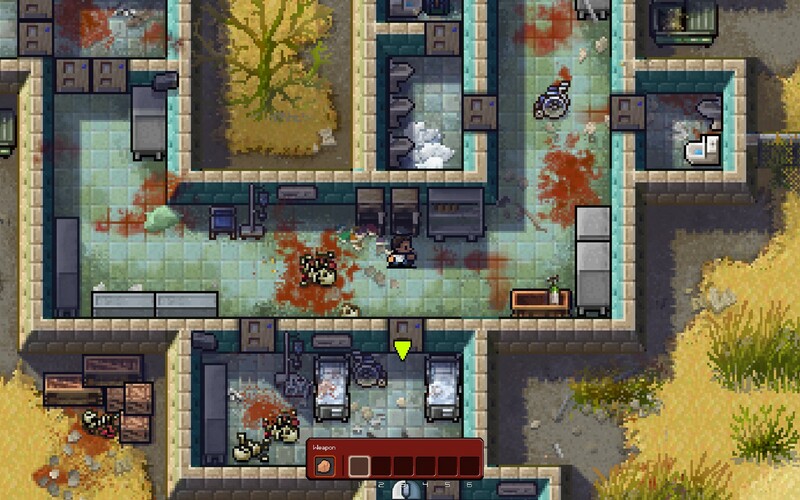 Although stylistic elements remain the same, and the bouncy low-key electronic beats are still present, the original game’s score felt more enjoyable to listen to, especially in a prison-like environment. In The Escapists: The Walking Dead the soundtrack feels bland and repetitive, especially when the game only boasts five or so tracks. At its core The Escapists: The Walking Dead is an indie title providing a flawless mix between two established franchises. 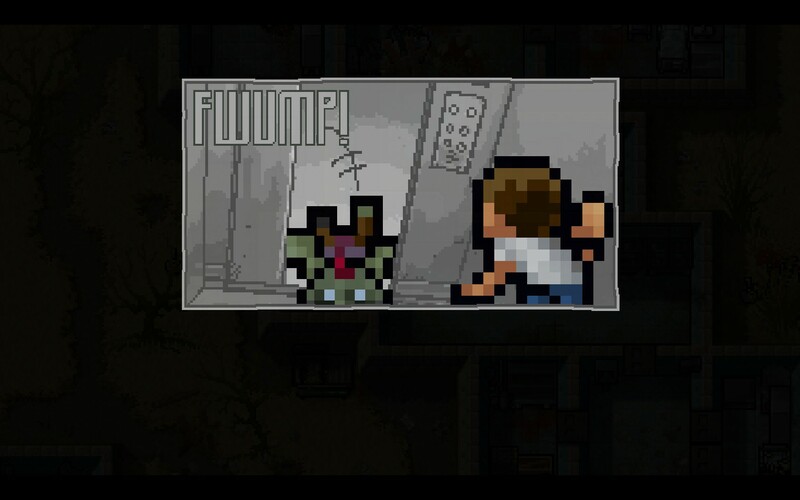 The Walking Dead universe mixed with the Escapists gameplay go hand in hand like honey and eggs; surprisingly well. 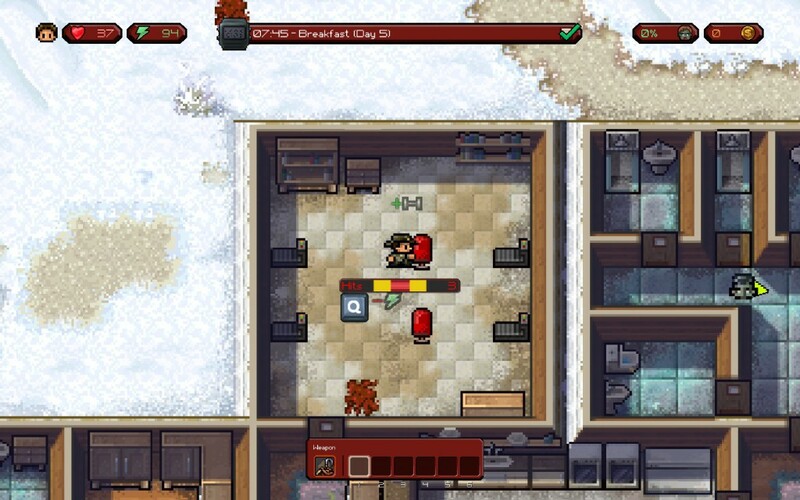 The basic Escapists time and routine based gameplay is ever present, forcing the player to participate in tasks such as daily head counts twice a day, meals three times a day, and work quotas once a day to keep risk of a walker attack at a minimum. The end goal remains escaping the area, although this concept is pushed under a rug of objectives. These objectives include the main goal of escaping the level, main objectives to advance the lacking plot, and optional quests with monetary rewards which can then be exchanged for hard-to-find items from vendors which only come out at night. Overall the actual process of escaping can get reasonably tricky, as the further you get into the game the harder and more puzzle filled the levels become. The basis of all puzzles remains crafting. For example, a certain item is needed to take down a wall. To create this item you first need a different item, and every item needs their specific components, scattered around the map in random backpacks and desks. The recipes for the items aren’t available from the get-go though, either the player has to look for recipes or they can be found through a tiring amount of trial and error. If the player makes an effort to scour the entire map in search of a certain component, so they can knock down a certain wall in the hope of finding another specific component, the eventual levels of fulfilment can be exponential. Although this effort comes with its fair share of rewards, it is entirely optional. The game allows a player to breeze through a level with no strings attached. Therefore length of play, enjoyment, and difficulty are entirely reliant on how the player tackles each level. If this extra effort is put in, the game is a deep, well polished experience. If the player decides no effort is warranted, the game feels bland. The game also lacks replay-ability, as a player not interested in spending a lot of time exploring will not do so in a second play-through. The only real reason one might want to explore, aside from personal fulfilment, is to find the five unreadable comic book volumes that are scattered around every map. Not a very exciting addition to say the least. To make life a bit easier while exploring, the player can decide to train Rick’s stamina, strength, and intelligence. The process of raising these statistics is presented in the form of a small mini-game where the player has to repeatedly tap Q and E in a different rhythm depending on what stat is being trained. This process lowers energy, but raises the specific stat. Doing so is also optional, although I always found myself maxing out all statistics before moving on to anything else, as they made a great impact on my confidence while out in the wild. 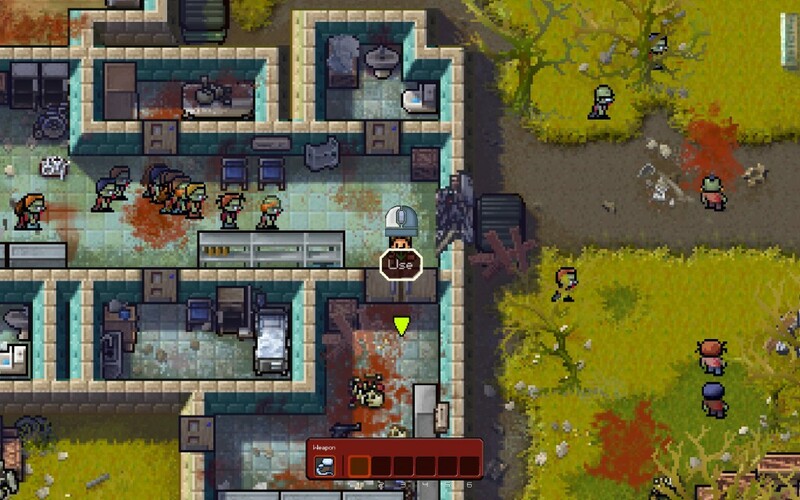 The Escapists: The Walking Dead is a solid follow up to an already solid indie title. Although no real innovations are made regarding gameplay, the game’s aesthetic is polished and fits the mood of its inspiration perfectly. The game can be a very deep experience if the player allows it to be, making length of play, enjoyment, and difficulty entirely relative to how one decides to play. Although the plot is lacking, and sound design isn’t very noteworthy, the game makes up for it with its excellent crafting system, giving a whole new dimension to the game’s depth. If the player is willing to spend a lot of time and effort into making the game fulfilling, it delivers wholeheartedly, providing an excellent experience for some, but less for others.